This is where the King of Rock and Roll slept. Elvis Presley, the King of Rock and Roll, liked to travel in style. 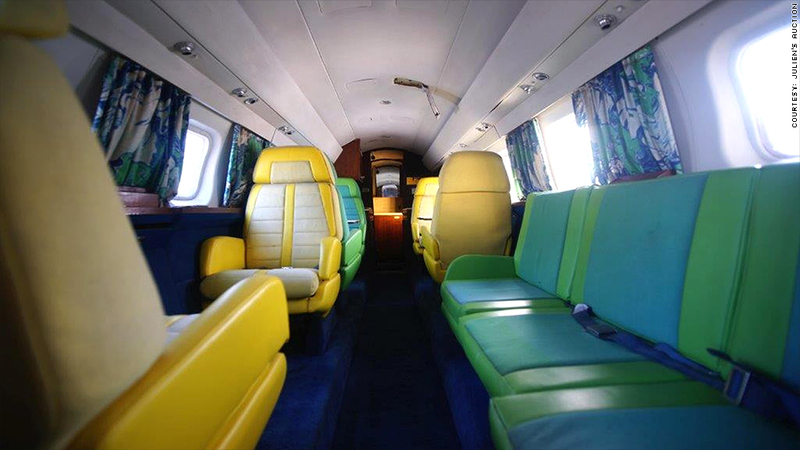 Now, the iconic singer's private planes, the "Lisa Marie" and "Hound Dog II," are going up for auction. It's a unique opportunity for Presley fans to own a piece of pop-culture history. But don't expect to be able to fly like the King. Both planes are for display only and cannot be flown, according to Julien's Auctions, which is handling the sale. 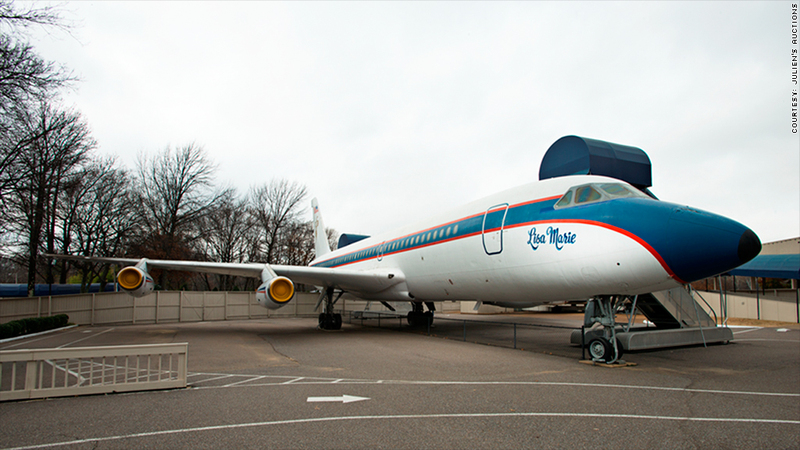 The custom aircraft have been a popular attraction at Graceland, the Memphis mansion that is a shrine to Elvis fans, for more than 30 years. 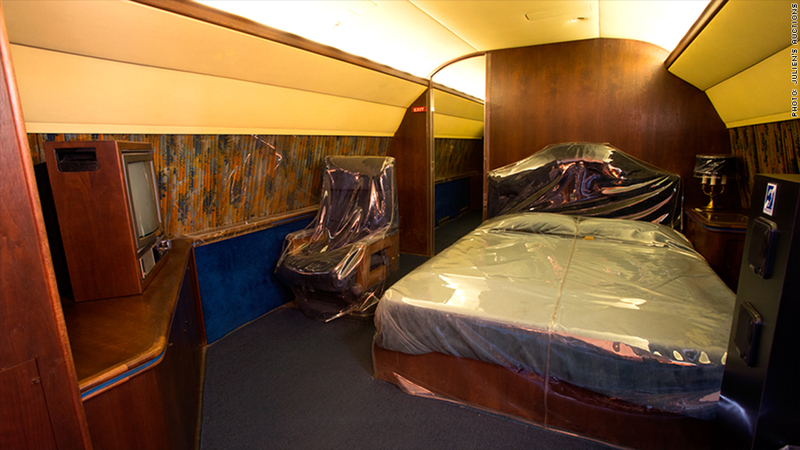 The "Lisa Marie," which Presley named for his daughter, is a former Delta jetliner that he bought for $250,000 in 1975. 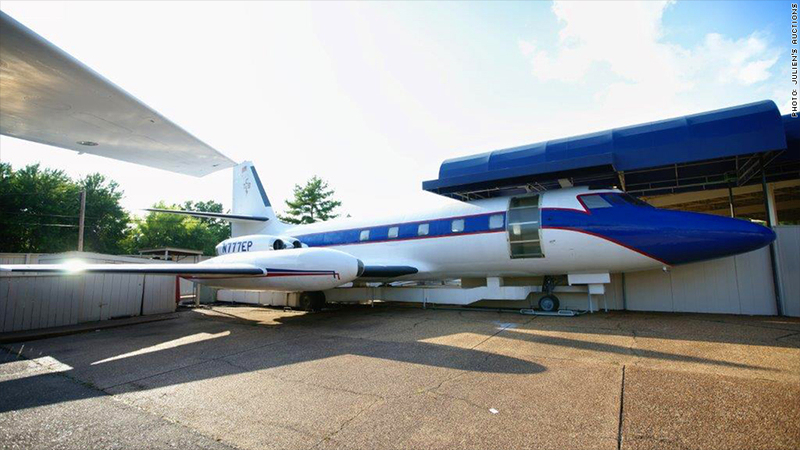 Presley spent another $900,000 converting it into what he called his "Flying Graceland," or "The Pride of Elvis Presley Airways." Legend has it that the plane was refurbished in Texas by the same company that outfitted Air Force One. With room for 32 passengers and crew, Presley used the "Lisa Marie" for both concert tours and leisure trips around the world with his entourage. The plane's tail wing is emblazoned with the letters TCB, short for Take Care of Business. On the inside, the "Lisa Marie" is decked out in all the trappings of the King's over-the-top lifestyle, including leather seating, solid gold seat belt buckles, a full bar and the "penthouse" bedroom. The bedroom has a queen-sized bed and an "executive" bathroom with gold faucets. 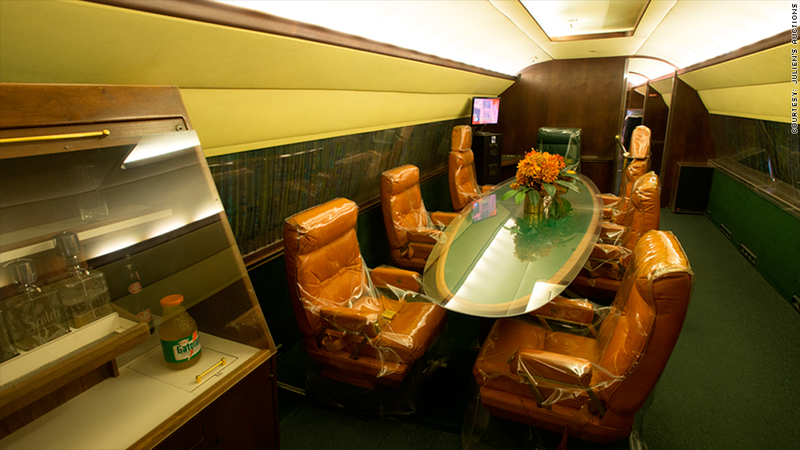 In what was state of the art in 1975, the "Lisa Marie" has a videotape system with four wood-paneled televisions and fifty speakers. There's also a conference room where the King would hold court. The "Hound Dog II" is a smaller Lockheed jet that Presley bought while the "Lisa Marie" was being refurbished. It has room for eight to ten passengers, two pilots and one flight attendant. The interior was also customized in Presley's unique style. He picked the color scheme himself. The planes are being sold together in a package deal. The bidding starts Friday and the auction is expected to close in early February.